As a child turns out to be a teenager, their childish surface interests go through a process of metamorphosis to be whole three-dimensional themes. Just childish stickers of Mickey Mouse, Bugs Bunny, or Barbie no longer attract them. 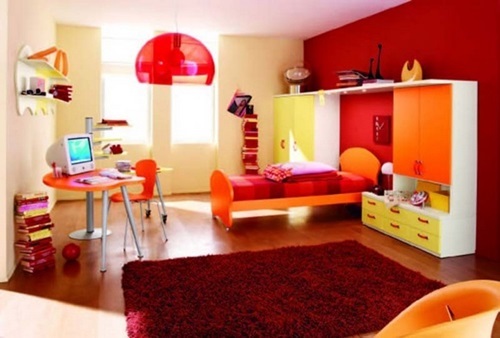 On the contrary, they need to impress their ongoing-developed complex personalities in their bedrooms. That is, their bedrooms are like live spokesmen for them! Thus, here is the key to satisfy your teens: go away from traditional designs, and go for creative and extravagant ones that suit their age and themes. Concerning bedding, unlike the ever-moving parents and children working and playing respectively, a teenager needs a resort in his/her bed to sleep, speak on the phone, read, or just to meditate. 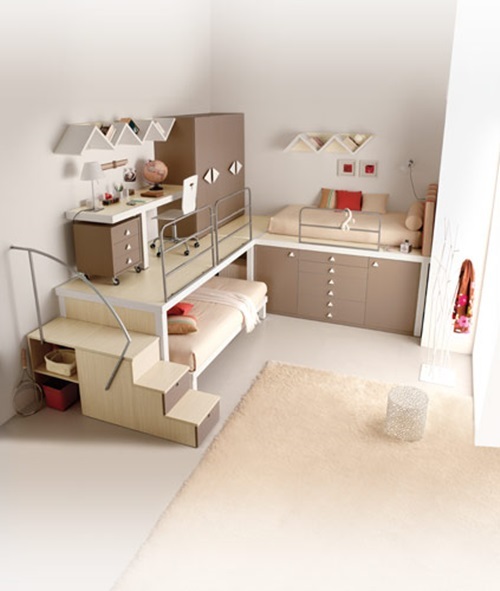 There are so many creative bed designs for them. 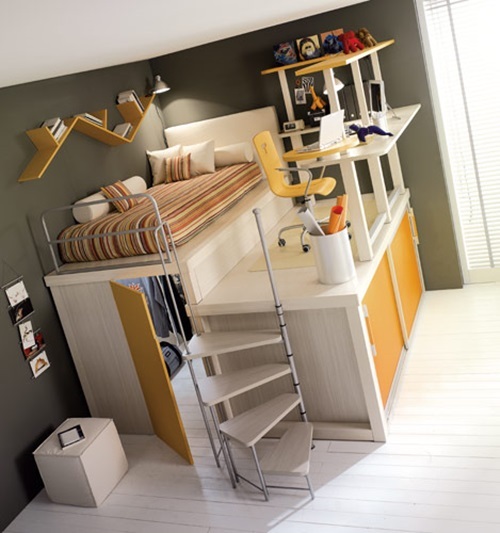 The private cloud bed with the rocking frame will give the feeling of solitude for pensive, imaginative teens. 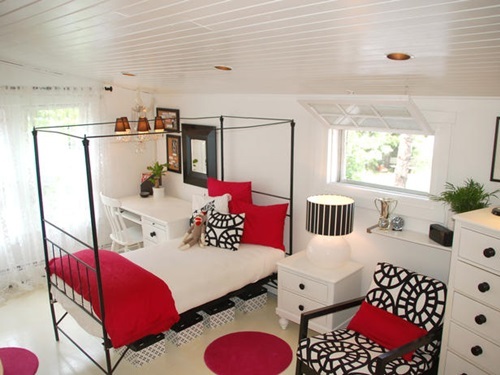 Also, there is the heart-shaped bed for the romantics, or the magnetic floating bed which can float on the air. 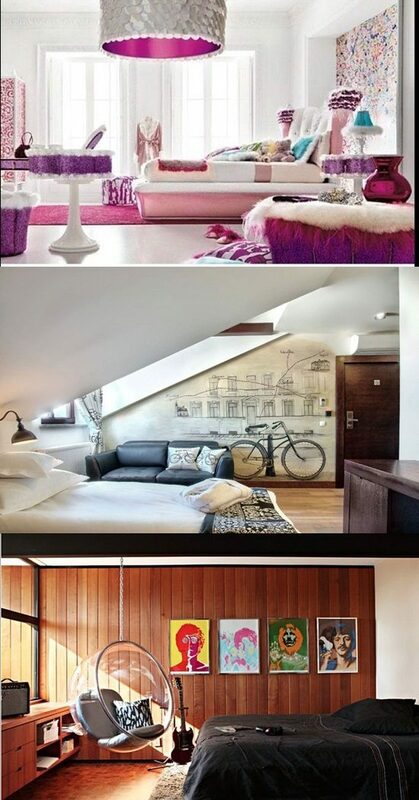 Or, you can get them normal beds, but let the headboards and throw pillows’ shapes or the bedspreads’ prints show the different themes: animals, sports, musical instruments, etc. 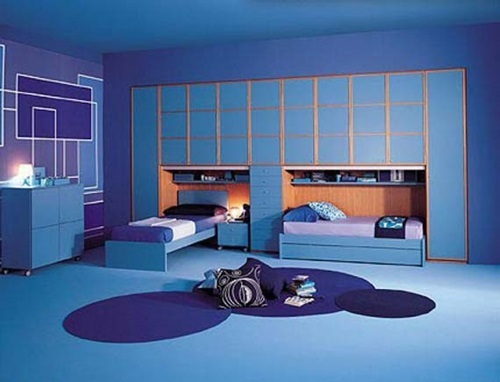 Besides beds, teenagers need closets with many drawers to keep their belongings: papers, books, photographs, CDs, etc. So, get one or more nightstands, a dresser with real drawers, or a bed with drawers. Also, mount shelves on the walls and hang innovative adhesive hooks on the backs of the bedroom and closet’s doors. 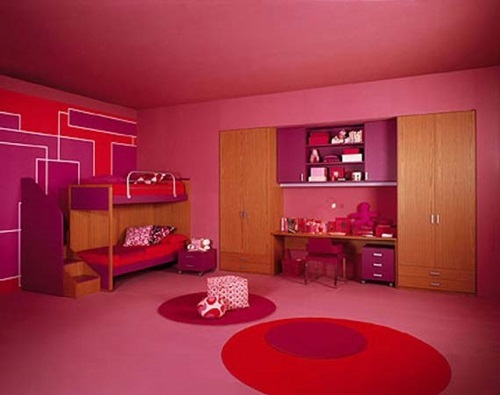 Then, as teens’ moods are usually whimsical, cover the walls and windows with long strips of fabric available in different colors and patterns for different themes. Bold colors as red, orange, and bright green suit dynamic personalities while subtle colors as beige, sand, and soft blue suit quiet teens. At last, give your teens’ bedrooms central lighting for comfortable reading and ambient lighting through lampshades for specific atmospheres. 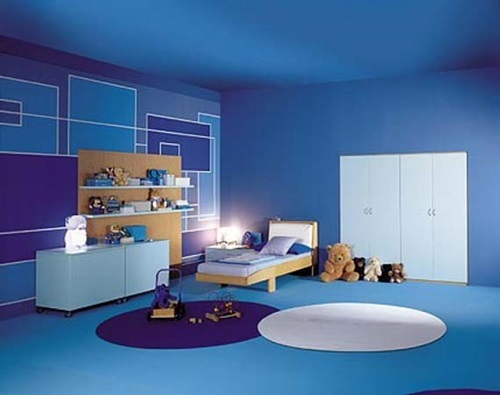 The light itself can be soft blue or green to help teens get a relaxing atmosphere, and the lampshades are available in different colors and shapes for different themes.